Add Graphic Touches and Create Your Own Custom Layout with These Woodland Scenics R.R. 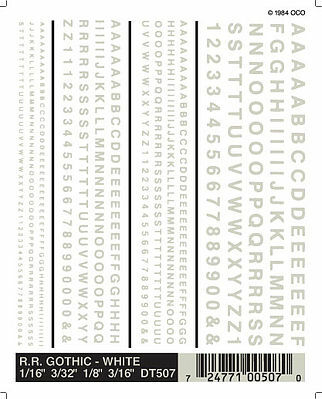 Gothic White Dry Transfer Decals. This sheet of decals provides a variety of sizes in letters, numbers and the "&" symbol.